Office workers and shoppers were evacuated from Ngee Ann City along Orchard Road on Wednesday afternoon (26 Sep 2018) after a fire broke out at Tower B. The Singapore Civil Defence Force (SCDF) said it was alerted to the incident at about 5.10pm. "Upon arrival, SCDF located the source of the smoke to a pile of smouldering trash accumulated at the bottom of a ventilation shaft within a stairwell," it said in a Facebook post, adding that the fire was extinguished using a hose reel. According to witnesses, the fire alarm went off at around 5.20pm. “We thought it was (a) false alarm or fire drill,” said a Channel NewsAsia reader who did not want to be named. He works on the ninth floor of the office and shopping complex. At least four fire engines were seen outside Ngee Ann City. SCDF said Tower B was evacuated as a precautionary measure before its officers arrived at the scene. There are no reported injuries, said SCDF. 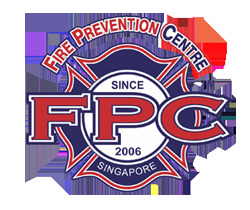 The cause of the fire is under investigation, said SCDF.